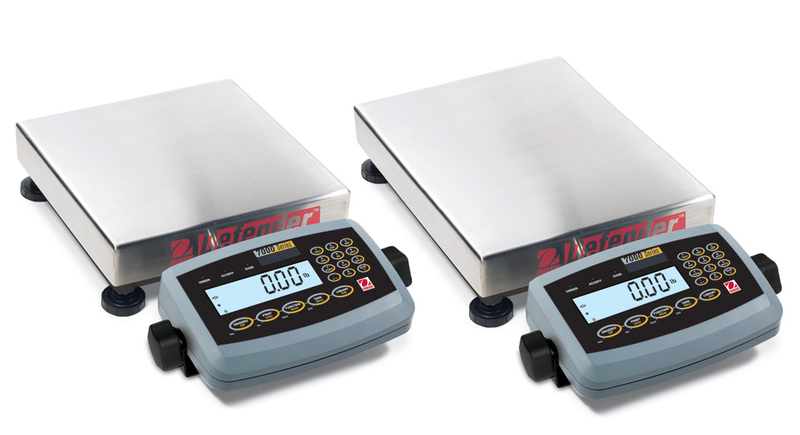 The OHAUS Defender 7000 Series is an advanced multifunctional line of indicators, bases and bench scales that is ideal for shipping and receiving, production, packing and general commercial, industrial and lab applications. Combining an ABS plastic T71P indicator with painted steel bases and columns, the Defender 7000 offers multifunctionality and multiple weighing units, alpha-numeric keypad and enhanced software modes. With rugged construction, comprehensive yet intuitive software, multiple connectivity, battery operation and configurable mounting, the Defender 7000 is a flexible one-stop solution for your demanding weighing operations. D15QR, D15HR, D30QR, D30HR, D60HR, D60QL, D60HL, D150QL, D150HX, D300QX and D300HX. D71P15QR1, D71P15HR1, D71P30QR1, D71P30HR1, D71P60HR1, D71P60QL2, D71P60HL2, D71P150QL2, D71P150HX2, D71P300QX2 and D71P300HX2.